Diageo, the world’s largest producer of scotch whisky, has unveiled 10 special scotches this autumn as part of its ongoing Special Releases programme. This year’s line-up includes a 40-year-old Cambus, a 37-year-old Port Ellen and a special vatting of the Cragganmore. The formal unveiling takes place next week. The Cambus 40YO is this year’s oldest release in the range and only the third ever single grain release from the series. The whiskey is described as “deceptively complex and fresh for its age”. The Cambus distillery closed in 1993. The 2016 Special Releases range includes the 16th appearance of Port Ellen - said to be one of the most sought after single malts in the world. 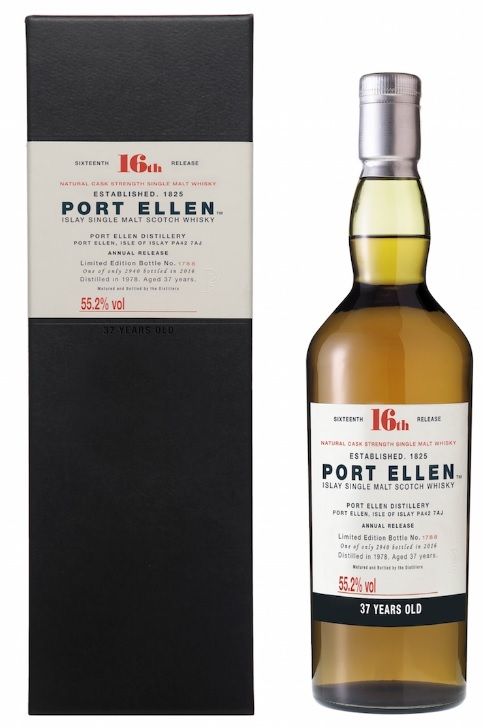 The Port Ellen 37YO will be the oldest Port Ellen ever released, with just under 3,000 bottles available worldwide. Two other releases this year, the Brora 38YO and Glenkinchie 24YO are also the oldest bottles ever released in Special Releases from these distilleries. The Auchroisk 25YO is described as a fruity apéritif malt, that’s fresh and amber gold in appearance. The Cragganmore is a special vatting, described as “beautifully structured and contemplative” and is the sixth release of Cragganmore in the series. From Islay, the Caol Ila 15YO is the first release in the series to have been distilled this side of the millennium. The collection also features from Islay the annual Lagavulin 12YO, this year as a commemorative edition for the 200th anniversary of the distillery in 2016. Autumn 2016, from specialist retailers in Northern Europe, in selected Asian markets and in the US. Diageo says: “During the late 1980s, the benchmark expressions of single malt whiskies from six single malt distilleries became well known under the Classic Malts name. Interest in older and rarer malt whiskies in general also grew during this period. One product of this was the Rare Malts, a series of rarer releases begun in 1995, and which ended in 2005. There remained a demand for unusual, distinctive, often older, unrepeatable cask strength bottlings, usually of the Classic Malts. Such bottlings allowed collectors, connoisseurs and enthusiasts to enjoy and experience remaining older stocks, and/or unusual expressions of a distillery’s character - a treasure trove of priceless malts. "To satisfy this demand, the Special Releases series was born in 2001, and the annual collection - with familiar names and some surprises - has been eagerly awaited by enthusiasts ever since."